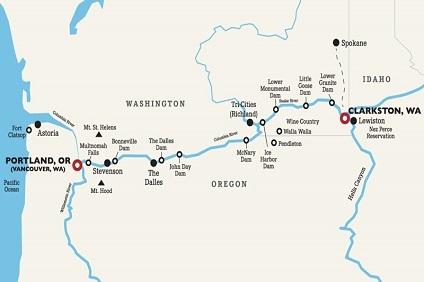 Climb aboard an iconic paddlewheeler and explore a slice of American history on a Mississippi River cruise. 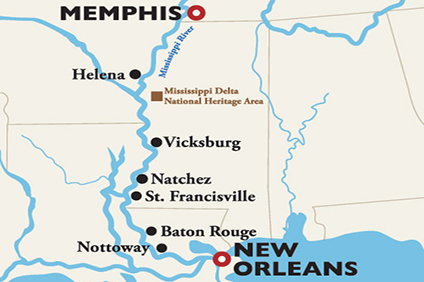 A Mississippi river cruise is the perfect getaway for nature lovers and history buffs alike. 7 Night Cruise sailing from Vancouver to Clarkston aboard American Empress. 1 night hotel stay pre-cruise in Vancouver. 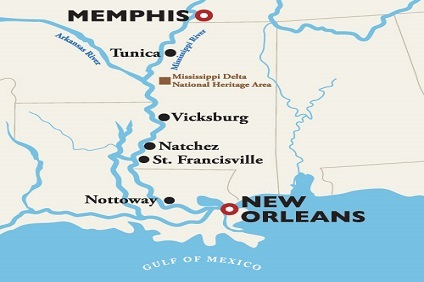 7 Night Cruise sailing from Memphis to New Orleans aboard American Duchess. 1 night hotel stay pre-cruise in Memphis. 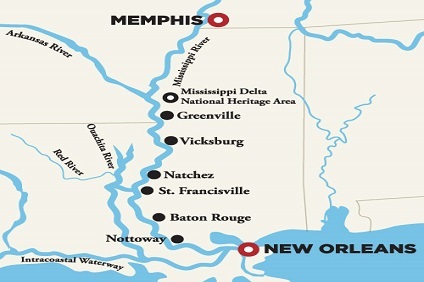 7 Night Cruise sailing from New Orleans to Memphis aboard American Queen. Hotel stay pre-cruise in New Orleans. 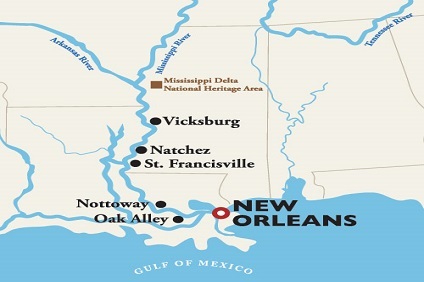 7 Night Cruise sailing from Memphis to New Orleans aboard American Queen. 1 night hotel stay pre-cruise in Memphis. 21 Night Cruise sailing from New Orleans to Red Wing aboard American Queen. 1 night hotel stay pre-cruise in New Orleans. 14 Night cruise departing from Memphis to Pittsburgh onboard American Duchess. 1 Night pre cruise accommodation included in Memphis. 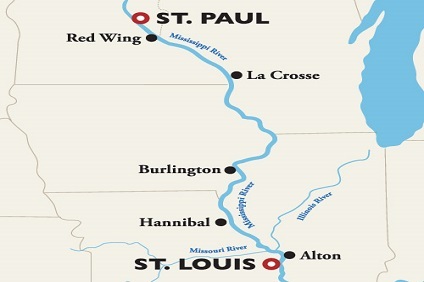 7 Night Cruise sailing from Red Wing to St Louis (Alton) aboard American Queen. 1 night hotel stay pre-cruise in Minneapolis. 7 Night cruise departing from Pittsburgh to Louisville onboard American Duchess. 1 Night Pre Cruise accommodation in Pittsburgh. 7 Night Cruise sailing from Alton to Red Wing aboard American Queen. 1 night hotel stay pre-cruise in St Louis. 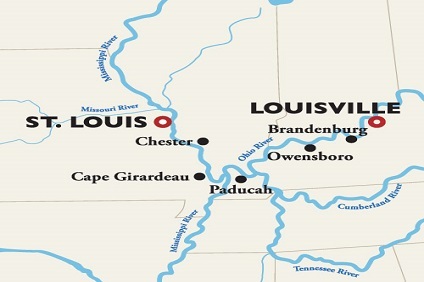 7 Night cruise departing from Louisville to St Louis onboard American Duchess. 1 Night Pre Cruise accommodation in Louisville. 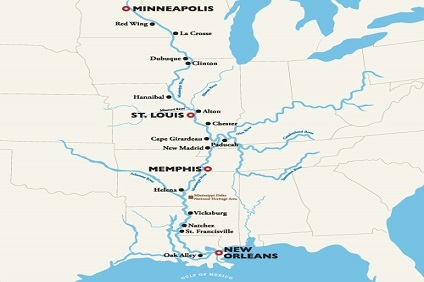 7 Night cruise departing from St Louis to St Paul onboard American Duchess. 1 Night pre cruise stay in St Louis. 7 Night cruise departing roundtrip from St Paul onboard American Duchess. 1 Night pre cruise hotel stay in Minneapolis. 14 Night Cruise sailing from Red Wing to New Orleans aboard American Queen. Hotel stay pre-cruise in Minneapolis. 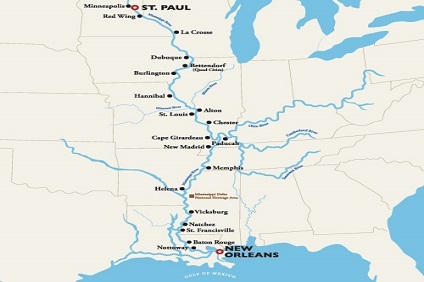 22 Night cruise departing from St Paul to New Orleans onboard American Duchess. 1 Night pre cruise hotel stay in Minneapolis. 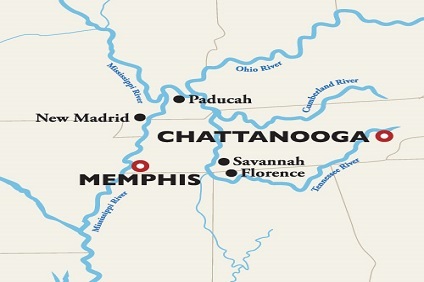 7 Night Cruise sailing from Memphis to Chattanooga aboard American Queen. 1 night hotel stay pre-cruise in Memphis. 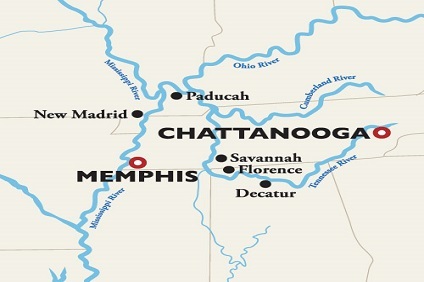 7 Night Cruise sailing from Chattanooga to Memphis aboard American Queen. 1 night hotel stay pre-cruise in Chattanooga. 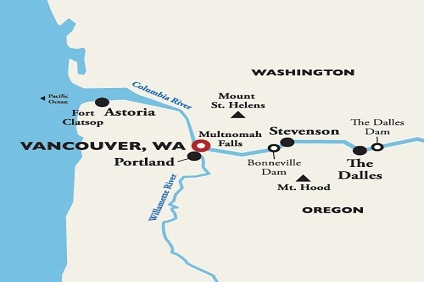 7 Night Cruise sailing from Vancouver roundtrip aboard American Empress. 1 Night pre cruise hotel stay in Vancouver. Every meal aboard the American Queen is an affair to remember. Regina Charboneau, our Culinary Director and celebrated American chef, draws her inspiration from our great Heartland has created a movable, delectable feast for you to indulge in. From piping hot beignets and bananas foster French toast for breakfast to succulent five-course dinners, every day celebrates the culinary senses. Even more astounding than the choices you will find on our menus are your daily choices of dining venues. The opulent J.M. White Dining Saloon is the centerpiece, serving breakfasts, lunches and dinners that are befittingly grand. The Front Porch of America offers a wide variety of classic American favorites and can satisfy any craving, at any time, as it is open 24 hours. The Calliope Grill serves up views as spectacular as the grilled fare and fresh salads and offers romantic, alfresco dining in the evenings. Should you be feeling peckish in the wee hours, you will find the Moonlight Supper in the Engine Room Bar offers surprising midnight delights. Our crew works very hard to make sure that every aspect of your voyage meets the highest standards. This includes those crewmembers who serve you directly, such as wait staff, beverage servers and the stewards who service your stateroom each day. There are also many others who support their efforts whom you may never meet, such as galley and laundry staff. To ensure that the efforts of all our crewmembers are recognized and rewarded, gratuities of US$16.50 per guest will be automatically added to your onboard account on a daily basis. If our service exceeds or fails to meet your expectations, you are free to adjust this amount at the end of the cruise. In addition, a 15% Beverage Service Charge is automatically added to bar charges and dining room wine purchases. These charges are paid entirely to American Queen Steamboat Company crewmembers, and represent an important part of their compensation. In ports of call and on shore excursions, we suggest that you extend gratuities consistent with customary local practices.